A Good Camera Store is Hard to Find [Encore Publication]: Can anything be done to prevent the extinction of pro camera stores? 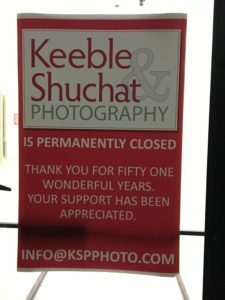 This past week, the doors closed permanently at one of the San Francisco Bay Area’s few remaining pro camera shops, Keeble & Shuchat of Palo Alto. After 51 years of providing sales of a tremendous range of fairly priced photographic gear, friendly service, lifesaving repairs, and informative classes, this local institution was forced to shut down. The story is a familiar one, and extends beyond the San Francisco Bay Area and beyond the photography sector. 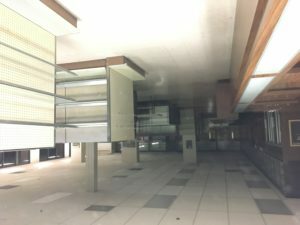 Local brick-and-mortar stores nationwide and in all sectors of the retail economy are being forced out of business due to severe price competition with online and big-box retailers and rising commercial real estate prices. Over the last few years, my neighborhood has lost the last of its independent coffee shops, bookstores, and movie theaters, and it now seems that camera stores oriented toward enthusiast and professional photographers are also going the way of the dodo bird. I’m sad about the closure of Keeble & Schuchat because there really is no substitute store within an hour’s drive of my house, and because I knew several of the staff there and don’t know what they’ll do next. But at the same time, I share some of the blame over their closing. I was a regular in their store, where I browsed their range of new gear and asked all manner of questions of the friendly and helpful staff. I made it a point to buy a few doodads at K&S, and I attended paid classes there from time to time. I depended on them for the repair and maintenance of most of my gear. But whenever it came time to drop some big bucks on a new pro camera or lens, guess what? I always purchased from a big online retailer like Amazon or B&H. I’m sure many other serious photographers behave similarly. It’s hard to justify paying a 10-20% price premium as well as the local 9.25% sales tax in my county when we’re already stretching to afford the gear in the first place. It’s very tempting to save so much money with just a few clicks in our web browser. But something significant is lost when we drive away the local experts who sell books, cameras, or cappuccinos in our neighborhoods. We lose the local merchant’s accumulated knowledge and the passion for the category we love. For us photographers, that means there soon won’t be many places we can go locally to chat about the merits or drawbacks of some new piece of gear, to repair or maintain our existing gear, or to learn from people who share our passion for image-making. When my main portrait lens had some dirt stuck between the inner elements that was causing a speck to appear on all my images, and I observed this on the day before a major portrait shoot for two clients, I took the lens to K&S and their tech diagnosed and repaired it while I waited. He charged me the whopping sum of $10 for his efforts. Why? Because he also was a working photographer and he knew the importance of getting this problem solved quickly and without impacting the clients. We may save a few dollars by buying our gear online, but what is lost by the mass shift from local stores to e-commerce sites? I’d better be thinking about what I’m going to do the next time I need an urgent repair done, because there is no longer anywhere reliable to go within an hour’s drive of my home. How about you? Please share your thoughts on the value or lack thereof of having experienced, passionate tradespeople in our neighborhoods? Is it worth spending extra cash to ensure we preserve access to these local stores? Or do you have a different viewpoint?